When ancient military strategist Sun Tzu counseled his readers to “know thy enemy,” he was almost certainly not talking about ticks. But for many Americans, especially those with Lyme disease, ticks are the enemy. And now we know a whole lot more about them, because scientists have sequenced the tick’s genome. The results were published today in the journal Nature Communications. Like bedbugs, whose DNA also got a closer look recently, deer ticks (Ixodes scapularis) continue to spread across the United States. 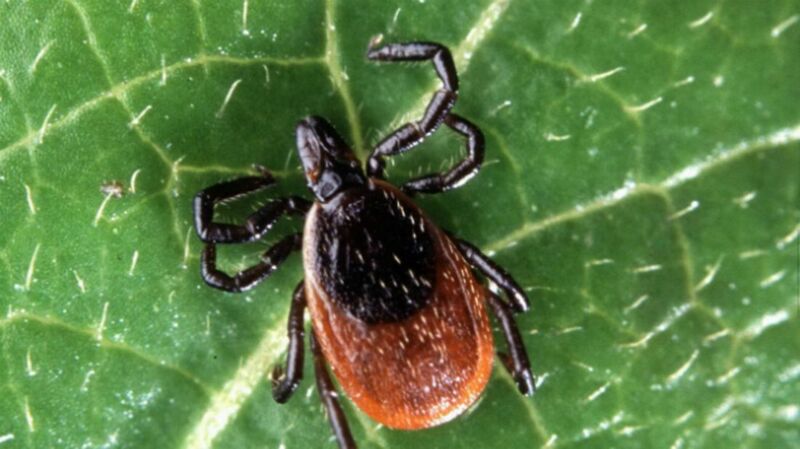 A recent survey found them in nearly half of U.S. counties—a huge increase from the last tick inventory. But it’s not just the ticks that are spreading. Where they go, disease follows: Lyme disease, yes, but also human granulocytic anaplasmosis, babesiosis, and the deadly Powassan virus. In other words, understanding the little bloodsuckers has become pretty important to a lot of people. The tick genome project was a massive undertaking, involving 93 scientists from 46 institutions. "Genomic resources for the tick were desperately needed," lead author Catherine Hill said in a press release. They were also difficult to come by. The tick’s DNA would not give up its secrets easily. The tick’s genome is smaller than those of humans, but just as complex, and peppered with redundant sections that made it harder to parse. But even these tricks were no match for an army of determined scientists. And once the genome was decoded, it revealed all kinds of useful tidbits. The researchers found proteins in the tick’s salivary glands that help transmit disease-causing bacteria to its host. They also found hormones that affect tick growth and sexual maturity. Researchers say that manipulating those hormones via a tick “birth-control pill” may be a viable form of tick control in the future. "The genome provides a foundation for a whole new era in tick research," Hill said in the press release. "Now that we've cracked the tick's code, we can begin to design strategies to control ticks, to understand how they transmit disease, and to interfere with that process."